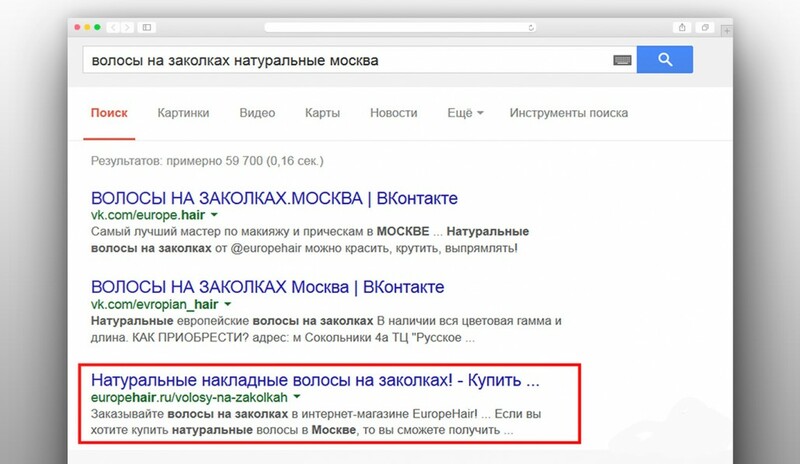 In the EuropeHair project, we applied in-depth SEO strategy. 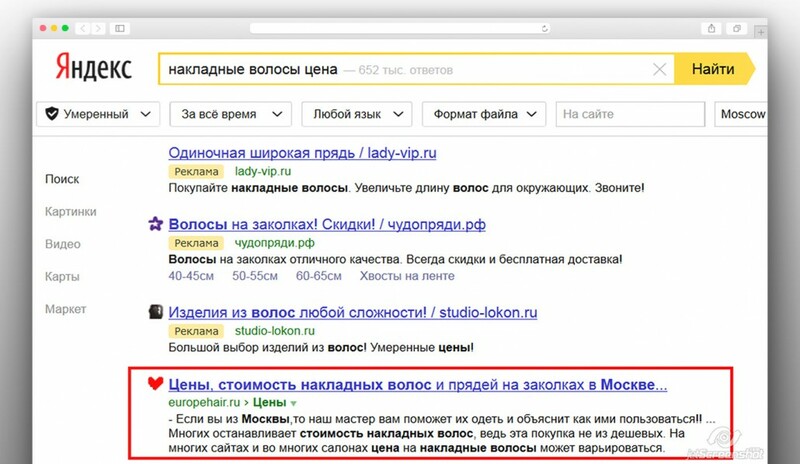 Just after a few months, its targeted keywords have appeared on the first page of Google and Yandex. In the course of our work, we implemented pay-per-click, link-building and content placement campaigns as well as improvements to the meta-titles and descriptions.